Kadima’s departure, the result of a breakdown in negotiations over reforming Israel’s military draft law to include haredi Orthodox Jews, shatters the 94-seat super-majority that Israeli Prime Minister Benjamin Netanyahu controlled in the 120-seat Knesset. The national unity coalition born nine weeks ago is dead, but the government lives as it did before Kadima left the Opposition. The national unity coalition born nine weeks ago is dead, but the government lives with a solid majority of 65 Knesset Members, as it did before Kadima left the Opposition. Party chairman Shaul Mofaz announced Tuesday evening that the party faction voted 24-3 to pull out of the coalition because of what he said was Prime Minister Binyamin Netanyahu’s failure to live up a supposed agreement on changes in the draft law. Kadima would crash from 28 Knesset seats to 3 if elections were held today, Knesset Channel poll says. Kadima, the largest faction in the present Knesset, would crash from 28 seats to just 3 if elections were held today, according to a new poll conducted by the Panels Institute for the Knesset Channel. 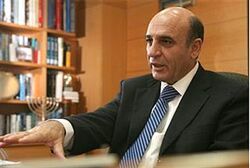 The party was expected to lose much of its power in the next elections but the extremely unfavorable poll appears to be a direct result of the deal that party leader Shaul Mofaz recently made with Prime Minister Binyamin Netanyahu, in which Kadima entered the coalition. Polls held shortly after that deal showed Mofaz losing popularity. Many of the seats lost by Kadima would go to the newly formed Yesh Atid party headed by journalist Yair Lapid. The poll gives Lapid 17 MKs. Likud is at 30 Knesset seats, more or less as it has been in other recent polls. Labor reaches 20 seats and becomes the second-largest party. Avigdor Lieberman’s Yisrael Beytenu receives 12 seats, Shas – which currently has 11 – gets only 6, United Torah Judaism stays with the current 5, the National Union climbs to 9 and the Jewish Home receives 3. Meretz doubles its power to receive 6 seats. The projection gives the so-called right-religious bloc 62 seats and makes a Likud-coalition with more Lapid likely. 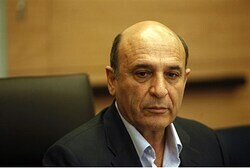 With Binyamin Netanyahu headed for Prague next week, Shaul Mofaz will be occupying the Prime Minister’s chair. Newly dubbed Vice Premier and Minister Without Portfolio Shaul Mofaz (Kadima) is wasting no time in trying out Prime Minister Binyamin Netanyahu’s chair. Mofaz will serve as acting Prime Minister when Netanyahu flies to Prague for a two-day visit next Thursday. The coalition agreement that ushered Kadima into Netanyahu’s Likud-run government stipulated that Mofaz fill the largely symbolic role when the Prime Minister is abroad. The title of vice premier is has no legal status, whereas the title of vice prime minister – also symbolic – allows for succession without elections should the prime minister be incapacitated. For Mofaz the position of vice premier means a reduced protection detail, a less prestigious car and a reduction in diplomatic precedence. As opposition leader, visiting foreign leaders were required to meet with him. As vice premier, they are not. PM Netanyahu and Opposition leader Mofaz form a unity government, removing the need for elections. Just hours after the Knesset approved the first reading of a bill to dissolve itself and hold elections, it appears as though no early elections will be held. Kol Yisrael radio reported that Prime Minister Binyamin Netanyahu and Opposition leader MK Shaul Mofaz have reached an agreement to form a national unity government. According to the report, the Likud and Kadima parties converged at 2:00 a.m. (Israel time), and the members of both factions are being updated on the meetings between Netanyahu and Mofaz. It was also reported that Mofaz is expected to be appointed either a minister without portfolio or Homefront Defense Minister, a position recently vacated by MK Matan Vilnai (Independence). It was also reported that the agreement reached between the Likud and Kadima calls for the Tal Law for the recruitment of hareidim into the army to be replaced by the end of July. 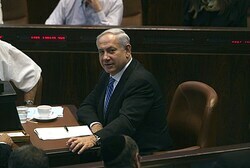 Netanyahu and Mofaz will head a team which will be tasked with forming the new law. In addition, Kadima has promised to remain in the coalition until the end of its term in November 2013. Also, it was agreed between the parties that by the end of December, a law changing the Israeli system of governemtn will be put to a vote. According to reports, the talks between Netanyahu and Mofaz went on for several days. A unity government is likely to harm the Labor Party, which has gained strength in the polls, as well as Yair Lapid’s party, as he will now have to wait until the current Knesset completes its term in order to run. Israeli media reports early Tuesday indicate that Prime Minister Benjamin Netanyahu has reached an agreement with the Kadima opposition party for a unity government, canceling an early election. There was no immediate comment from official sources on the decision that was reported at about 02:00 A.M. local time. The reports came as Israel’s parliament held debates long into the night over whether to disperse ahead of early elections called for the fall. Earlier in the day, the Israeli government proposed the election be moved up to Sept. 4. The election had originally been set for 2013. According to the reports, Netanyahu forged an agreement with opposition leader Shaul Mofaz of Kadima a short while before parliament was set to vote to disperse. Israeli elections are likely to come a year earlier than scheduled. Prime Minister Benjamin Netanyahu reportedly has asked his advisers to look into holding new national elections in August or September, according to Ynet. October, right after the High Holidays, also is a possibility, according to reports. There has been no official announcement of early elections. The reasons for early elections include Netanyahu’s desire to consolidate his position ahead of U.S. elections in November, as well as the looming coalition crisis over the Tal Law, which gives military deferments for full-time yeshiva students. Polls have shown that Netanyahu’s Likud Party would gain more seats in early elections.